my first soap ever. get set to fall in love; girl meets melt and pour..
my first ever cold-process soap. there’s math involved? say what now? ← fun, fun soap swap! Now I’ve really gone and done it- I looked. I stuck my nose where it didn’t belong, and had a good, long lookey-see. on the contrary, I buy ’em by the dozen. I knew eventually, I would have to go to there. there’s only so many hours in the day; soap’s ensconced me. as part of a soap-swap. The little scratch at the door got louder. OK, I was ready to look. And I had birthday money! Starter Kits from Peak Candle Supply, to simplify things. It was a great idea, there’s a lot of stuff to know about candles. Which wax? What wicks go with which wax? What? Why? and started searching in forgotten cabinets for containers. I was surprised at how many potential containers I already had! 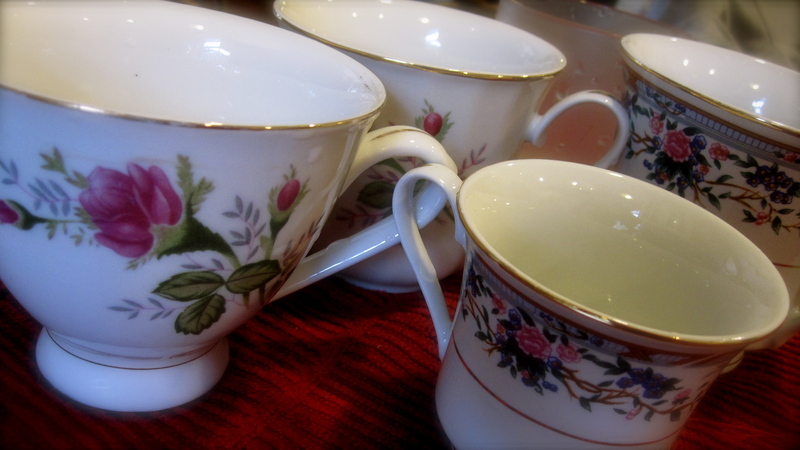 My thrift-store, but perfect tea-cups, looked to be an attractive choice. on hand that I could scrub-up and recycle! the perfect first-candle for anybody! I may try those pretty little tins, come next round..
depending on what you are creating. 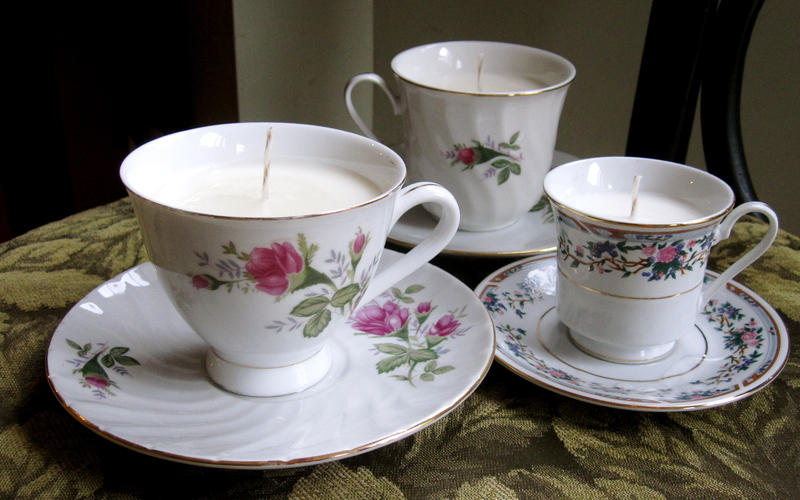 Posted in Candles and tagged candle-making, container candle, craft, soy wax, tea-cup, vintage. Bookmark the permalink. I'm a wife, mom of two, Licensed Massage Therapist & enthusiastic soap maker! oooh oooh i seriously can’t wait to see. Wow I don’t see you for a few days and bam!! You’re a candlemaker. What else can you do girl??? The images on this blog are my own. I would greatly appreciate it if you could link back if you decide to use one of them.